Music is an integral part of our society, and it has been used to help us communicate as well as entertain for thousands of years. The styles may change, but our base love of music does not, and it has become a primary source of entertainment when chilling out, but also when you’re on the way to work or catching the train. As a result, it’s important to pick an MP3 player that you know will be sturdy and reliable, as well as produce excellent sound quality. In order to help you find the best MP3 player under £50, we have put this guide together, compiling all of the relevant MP3 player under £50 reviews in one place, so you can discover the next piece of kit to help you get your groove on. MP3 is the abbreviated form of MPEG Audio Layer III, which is a form of compressed audio file. These files are then stored on a memory chip which allows you to play the music back whenever you like. The MP3 actually originated in Germany, and it was started in 1977, with the patent finally being granted in 1989. Following this, the first MP3 player was produced in 1998, with Apple launching the iPod a few years after. While the iPod is technically a form of MP3 player, it takes the files and converts them into their own format, and so Apple products are often seen as a separate music device entirely. The MP3 player itself tends to be pocket-sized so that you can carry it around with you easily, and it also contains hard disk drive that is able to store massive amounts of data – something which is often seen as surprising considering the size of the drive. Memory flash players. Small and inexpensive. They tend to have replaceable batteries. Micro hard drive players. Still small and portable but with a much larger memory capacity. Hard drive players. The same as the above, but a little bit larger. Multimedia players. Larger and heavier, but they have colour screens and can play movies. Now that you have a little more information on the types of CD player and their uses, take a look at the MP3 player under £50 reviews below. Even if you are on a really tight budget, you will find that there is an MP3 player out there for you. After all, no one should be deprived of music. Take some time to read the reviews below and see if this is the right model for you. 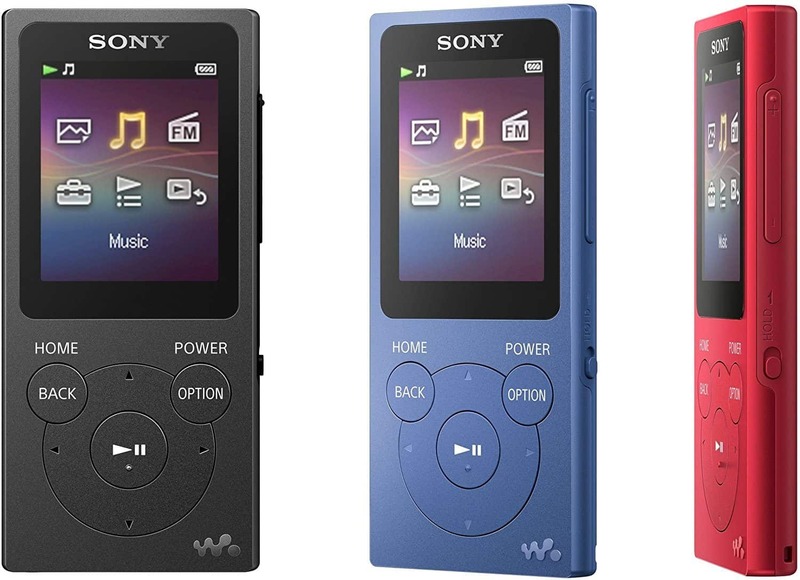 This MP3 player comes in black or blue, so you can pick one that works best for your tastes and style. They have a long and slim design that is comfortable to hold and features a good size LCD screen, allowing you to see things like the time and date, as well as which track is playing and the amount of charge you have left. It has 16GB of memory, which is able to hold up to 3000 songs, meaning that you can take all the music you love wherever you go. The battery only needs to be charged for a couple of hours before it is ready to provide you with 45 hours of playback. The controls are also really easy to use, so you can glide through your songs at your leisure. The shuffle feature does not work as well as it could, and you cannot create a playlist. 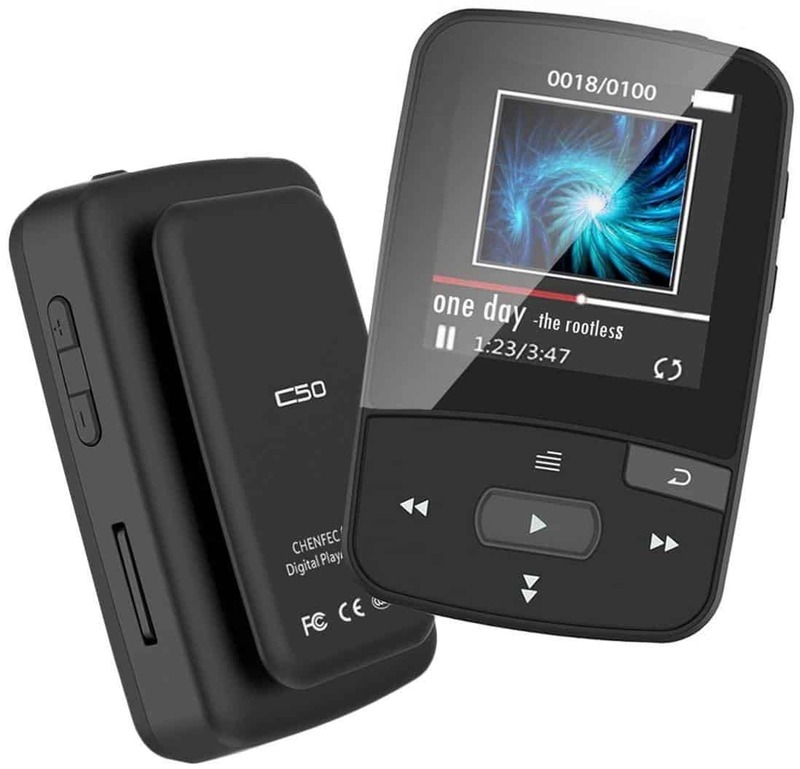 This MP3 player comes at a really cheap price, so it will fit into absolutely any budget with complete ease. While it does not have a shuffle or playlist feature, this doesn’t mean that you cannot listen to your music, and the sound quality is still superb. The controls are easy to use, and it has a very sizeable memory that will hold every song you enjoy. It’s a great product at a low price. Q: Is it any good for audio books?, in other words will it restart from where i left off when i turn it off and on again? A: You need to pause, then hold the right button down to turn it off (counts to 4 on screen) then use the same method to turn on again, it will be exactly where you left it. Don't use the power button on the bottom or it will not work. Sony is the leader when it comes to music. After all, they are the ones behind the creation of the original Walkman. If you are searching for an MP3 player with a radio, this could be the one for you. Take some time to read the reviews below and see for yourself. 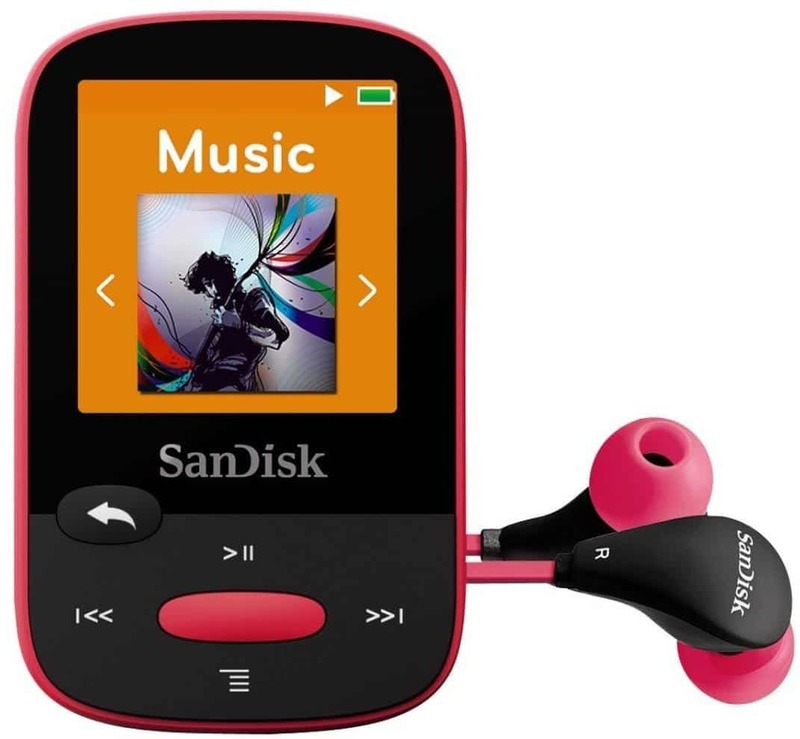 This MP3 comes in three fantastic colours – black, blue, and red – so that you can find the one that best suits your style. It features a slim and long design, like most MP3 players, that is comfortable to hold and easy to slip into your pocket when it is not in use. The controls are really simple to use and get used to, so you can flick through your songs and adjust the volume when you want. Plus, it can access FM radio stations with ease. The MP3 players also come in three different sizes of memory, so you can choose between 4GB, 8GB, or 16GB, ensuring that you will have plenty of storage for all of your music. The sound quality is superb, with crystal clear vocals and speech, meaning that both songs and audiobooks will play beautifully. There is also really easy drag and drop transfer on your PC. Some customers have found that the shuffle function is not as easy to access as they would like. 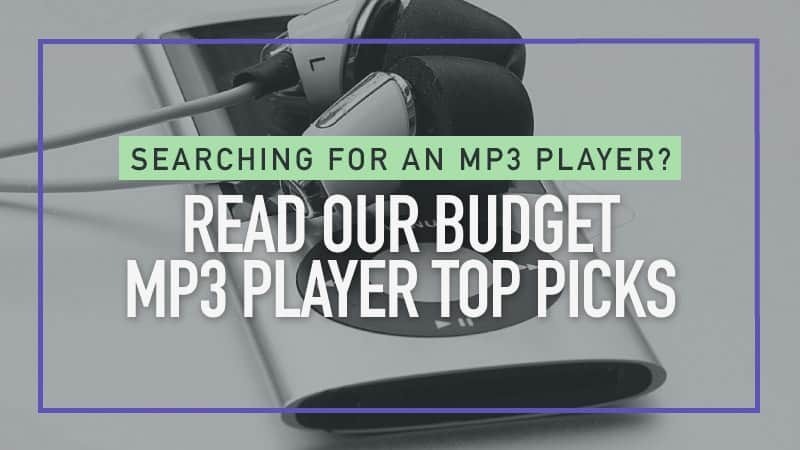 This MP3 player is a little pricier than the other models listed here, but it is also an excellent model for playing music and audiobooks while you are out and about. While the shuffle function is not always the easiest to access, it does exist, and once you find it, you won’t forget where it’s located. Manufactured by a brand that is trusted and reliable, it’s worth spending a little more of your budget. Sandisk is another popular brand, and one that is best known for their technology and excellent SD memory cards. If you are searching for an MP3 player to take with you when you go running or to the gym, this could be the one for you. Take the time to check it out below. 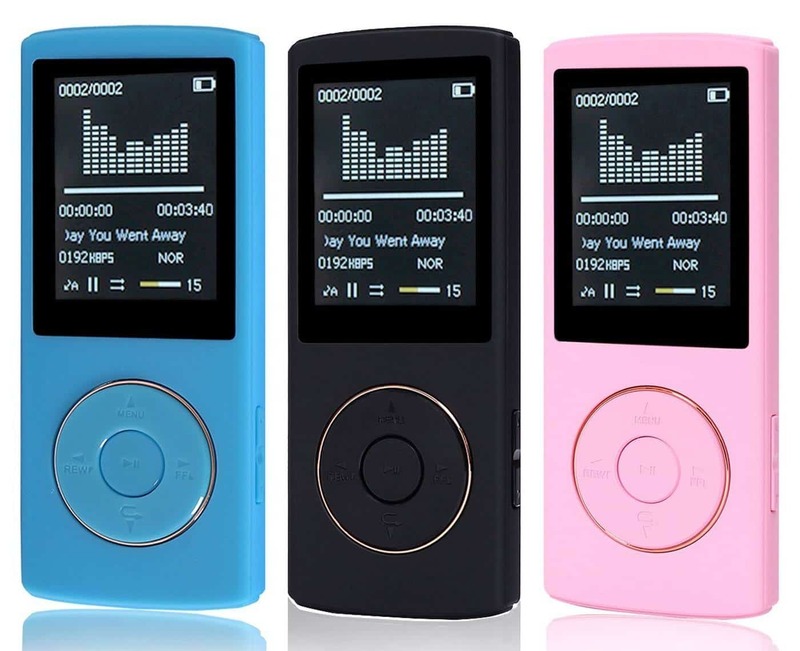 This MP3 player comes in a wide range of colours, including ones such as lime and yellow, so you are certain to find the ideal one to suit you and your style. It has a chunky yet small design, and has been made to be incredibly lightweight, which is what makes it ideal for taking with you when you are exercising. The screen is an excellent size, and the LCD display means that you can see all of the information clearly displayed. The controls are clearly labelled and easy to use, but not so sensitive that you will accidentally press them in your pocket. The MicroSD slot means that you can add even more memory at any time, and the sound quality is superb. Some customers found that the instructions were a little clunky and difficult to read. 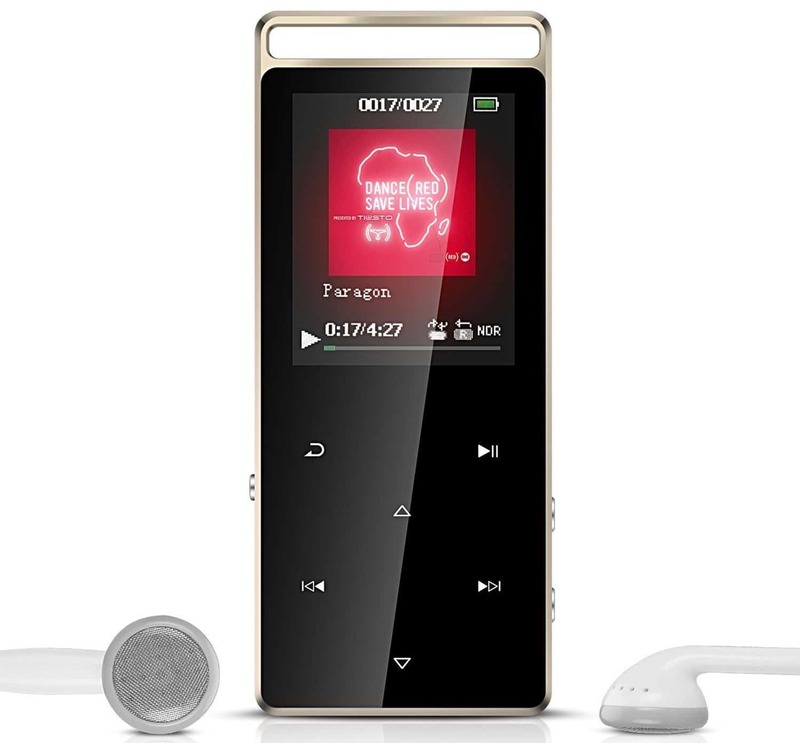 This MP3 player comes at a very reasonable price that will be able to fit comfortably into the budgets of most people. While some customers found that the instructions were a little difficult to get through and understand at times, it is worth it once you get past them and figure out how each of the settings work. With excellent sound and a lovely display, you have everything you need right here in this little electronic package. This MP3 player comes in black or blue, so you are sure to find that one of them suits you perfectly. It is Bluetooth compatible, allowing you to connect it to other devices, including wireless headsets – meaning that you get to listen to tunes without the hassle and irritation that comes with wires. It’s a simple device to use and is very easy to set up, as well as being designed to withstand use in sports and other physical activities. The large screen ensures a clear resolution at all times, and it has a wonderfully large memory of 16GB, all at a very low price. This Bluetooth MP3 player allows you to hook up to a set of wireless headphones with no issue, giving you all the freedom you could want when you are out and about. The touch button has high levels of sensitivity so that you can scroll through your music effortlessly, as well as adjust settings such as the volume and track. It can even play e-books, record your voice, and play FM radio stations whenever you want – so you never have to miss out on the things that you love most. With several different memory sizes to choose from and an excellent price, it’s one deal that you will not want to miss out on. Hopefully, this guide has helped you to find the best MP3 player under £50, so that you can make the most of your music no matter where you are. Regardless of how close you can go to £50, there is a model here that will perfectly suit your budget, so that you don’t need to go without entertainment when you are chilling or commuting. With a range of different models that each have various features (such as Bluetooth and radio), there is an MP3 player here that incorporates everything you want and need into one neat little package. What did you think of our MP3 player guide? Are there any that you would have liked to see or recommended? We love hearing from you, so make sure to leave us a message in the comments below.